Community Development - Development Services, Inc.
Development Services Inc. excels in the assessment and administration of projects that enhance the development within a community. DSI offers excellence in exploring funding resources and providing expertise in project implementation. • Junior Achievement - Junior Achievement is the world's largest organization dedicated to inspiring and preparing young students to succeed in a global economy. 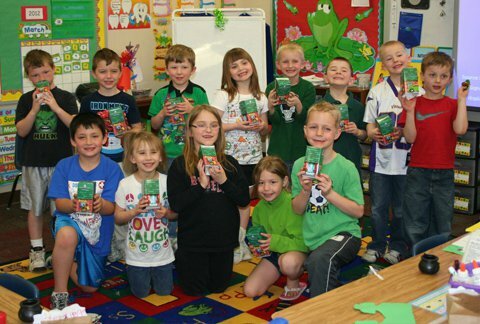 Through a dedicated volunteer network, JA provides in-school programs for students in grades K-12 in the Lincoln County area. JA offers educational programs that focus on the three Pillars of Success: entrepreneurship, work readiness, and financial literacy. You can visit the JA website by clicking here. Please be sure to like our local JA of Lincoln County Facebook page by clicking here. • Hole-in-the-Mountain Regional Park - On behalf of the Lincoln County Parks Department, DSI submitted an application to Greater Minnesota Regional Parks and Trails Commission (GMRPTC). In 2017, the GMRPTC approved Hole-in-the-Mountain County Park's application and has designated Hole-in-the-Mountain County Park as a Regionally Designated park system. • Lincoln County Trails - DSI is obtaining and administering funding resources and assisting the Lincoln County Trails Task Force in the development of Lincoln County Trails Project. Upon completion, the trails will not only enhance the communities by connecting parks, nature areas and other local points of interest, but will also offer options for exercise, transportation, recreation and increasing tourism in Lincoln County.